Jane Wasserbach and her sister, Joanne Hans, spent their childhood summers in the Adirondacks. Summering with their family in old camp cottages, they swam, explored, and wandered down to the marina for penny candy and sodas. At night, they curled up in wrought-iron beds in rooms with shiplap walls and crooked floors. 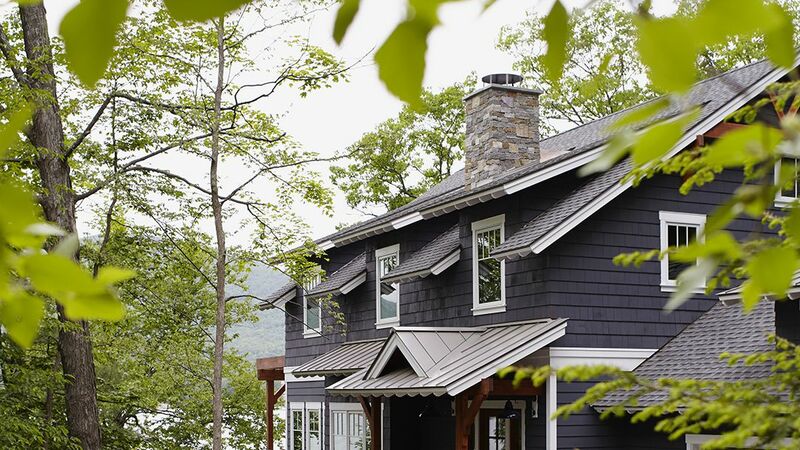 “That was the vibe we wanted for this home,” says Joanne, an interior designer who worked with her sister and brother-in-law, Bill, to build an Adirondack Craftsman house filled with the same carefree spirit. On the home's exterior, gray-blue siding reflects the lake’s color, natural stone, and cedar beams to knit the cottage to its surroundings. The architect’s plans angled the house away from the bustle of boaters in the nearby village and fully toward Lake George, with its view of sunsets and Thursday fireworks. The New York getaway is also designed for entertaining; the house sleeps 13, using every nook and cranny and a sleeping-porch daybed and trundle. 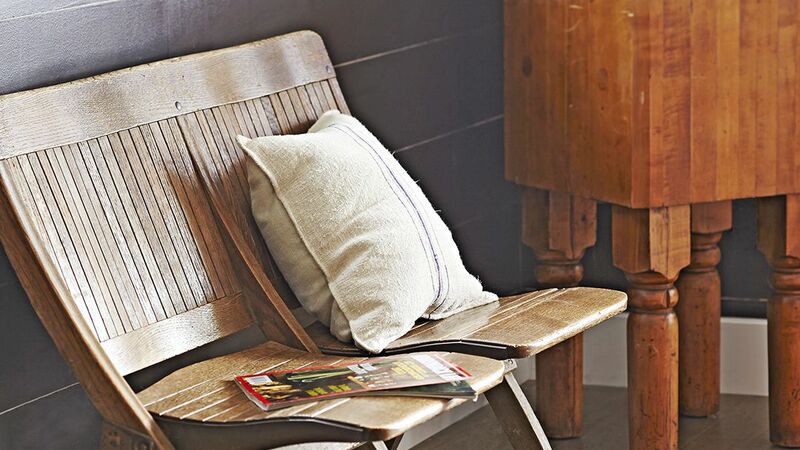 True to the old cottages along the lake, the walls are shiplap painted white, with reclaimed barn beams and oak hardwood floors stained the color of driftwood. The warm tones of salvaged beams are replicated in a dining room table that was cut to size and refinished for the lake home. 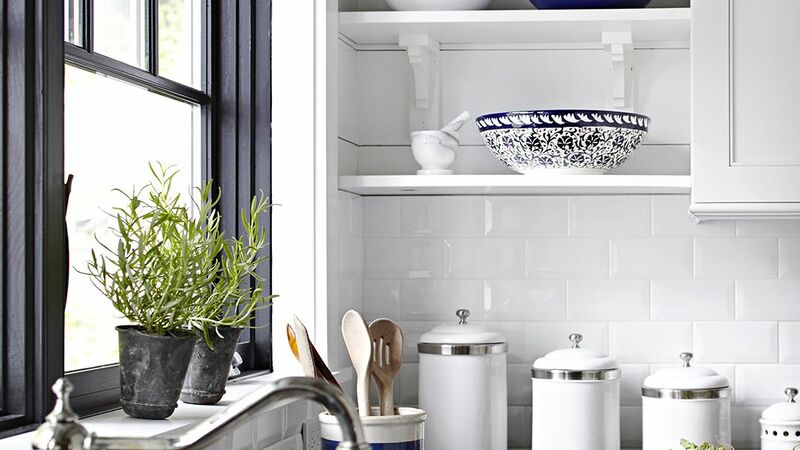 Built-in storage with a marble surface holds dinnerware and doubles as serving space. Comfort and easy care were key. Sofas are covered with slipcovers that can be removed and thrown in the laundry. And the height of the windows in the living room was adjusted to leave room above the window seat, where a row of pillows and a long cushion covered in outdoor fabric form a perfect perch to recline. Cool blues and nautical themes imbue the living area with Adirondack authenticity. Old beams line the doorway, and ebony window trim frames the outdoor views. 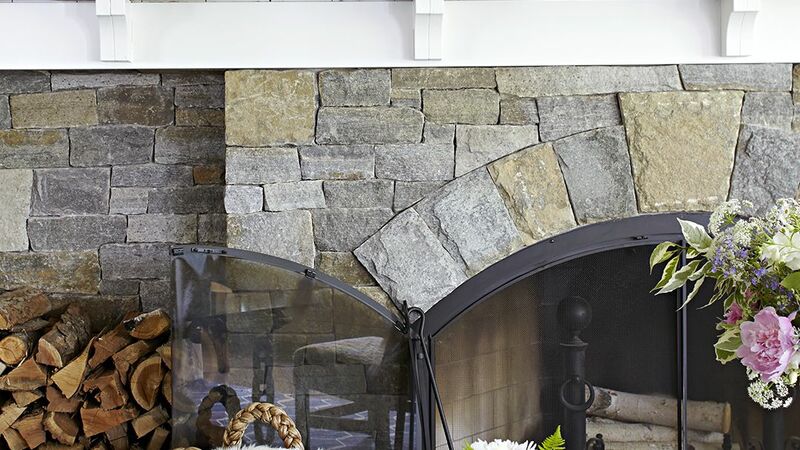 In the living room, a square beam acts as a rustic mantel over the native-stone fireplace, displaying a rice paddy stool and harpoon. Metal furnishings and accessories with that telltale reddish cast offer a well-loved air. The coffee table legs are made from anchor chain. Two small islands maximize space in the farmhouse kitchen. One provides plenty of storage, and the other can be rolled out to make room for stools on all sides. Globe lights make a nautical statement without blocking the view. 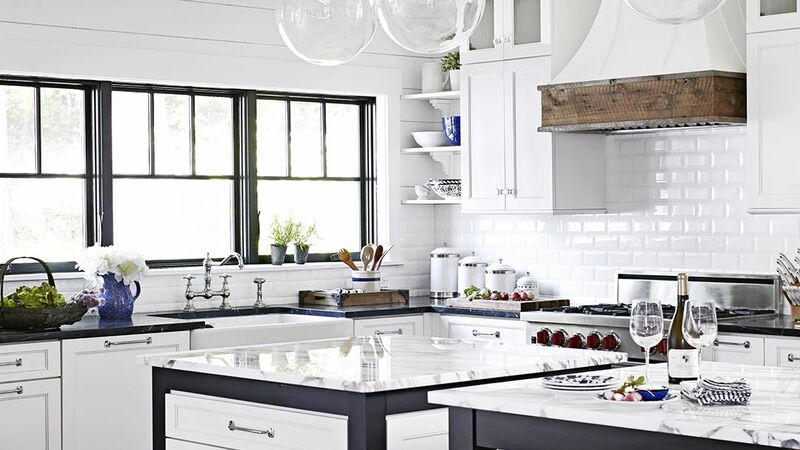 Gleaming subway tiles and a soapstone counter in the kitchen provide dramatic contrast and add to the home’s established character. 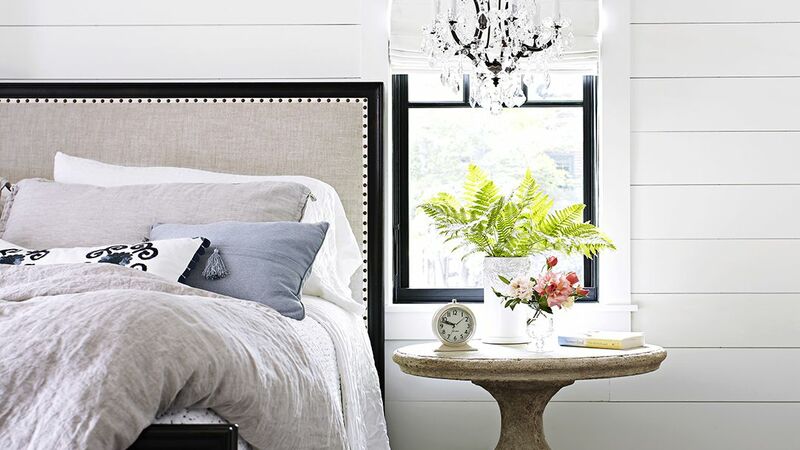 In the master bedroom, linens echo the home’s blue-and-white palette. A chandelier sparkles over a concrete garden table. The vacation home includes vintage niceties such as an old-fashioned alarm clock. A closet-size niche, similar to a ship’s bunk, stashes additional beds—including a trundle with pulls known as folding eye pads, typically used on boats and yachts. 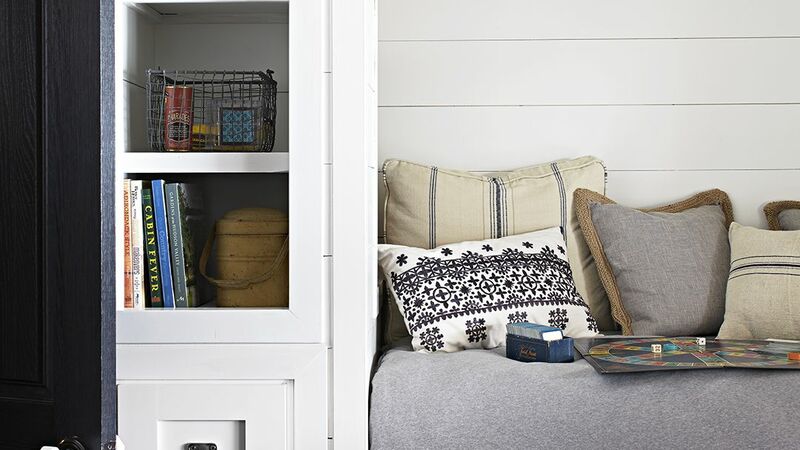 Built-in cubbies offer additional storage for necessities, trinkets, or books. The daybed is piled high with pillows to welcome guests to sit back and relax. Details like milk-glass doorknobs make a house look like it’s been around for a long time. In the bathroom, classic basket-weave tile, a vintage-style sink, an old mirror, and colorful pendant lights look as if they came from another era. 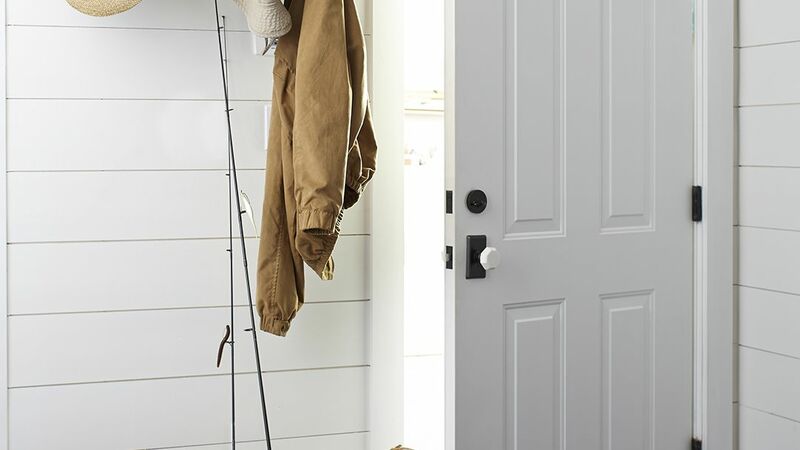 The lake house’s painted shiplap walls and details such as old-fashioned door hardware harken back to a bygone time. 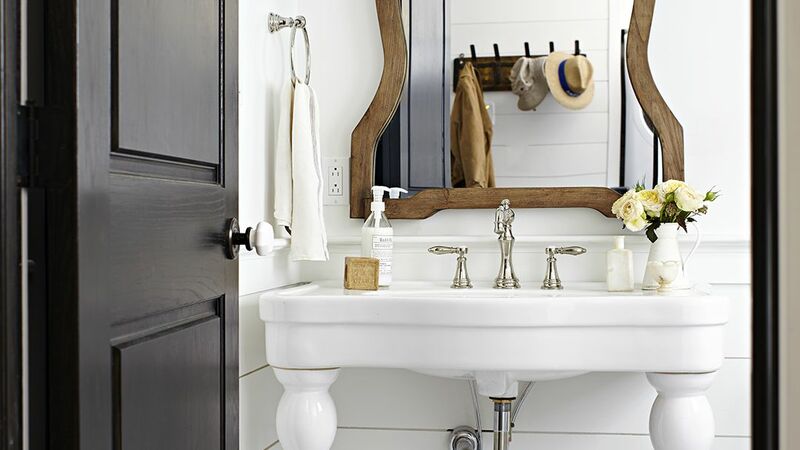 Natural wood accents such as the mirror frame and coat rack break up the all-white walls. On the lower level, a pub serves as the closest entrance from the lake. Brown walls set a cozy mood for the bar, while a bench and butcher block create a cozy corner for watching shuffleboard or TV. 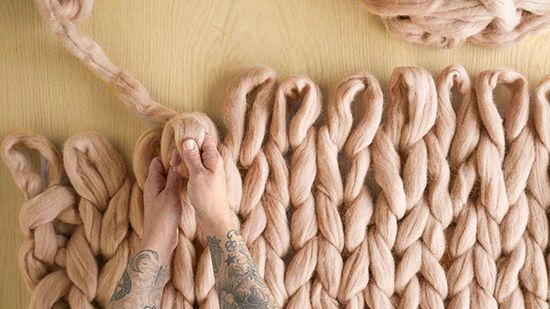 Underfoot, an equally warm and textural cork floor is tolerant of wet towels and bathing suits. “Jane and Bill don’t want anyone to feel like they can’t be comfortable in the house,” Joanne says. “It was all about choosing materials that would withstand a lot of use.” Plenty of outdoor living spaces, including a screened porch, offer opportunities to enjoy the view in any weather. Lovely home, very classic. Timeless decor will last a lifetime.